In Metalworking, the clamping status of tools and workpieces are monitored in many applications. Typically, inductive sensors are used to control this. Three positions are usually detected: Unclamped, clamped with object, and clamped without object. 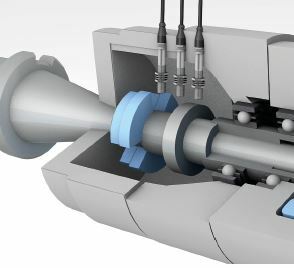 The sensor position is mechanically adjusted to the application so the correct clamping process and clamping status is detected with a proper switch point.